Bachelor of Psychology, with a Master degree in Drug addictions, both granted by the Universidad de Barcelona (UB). 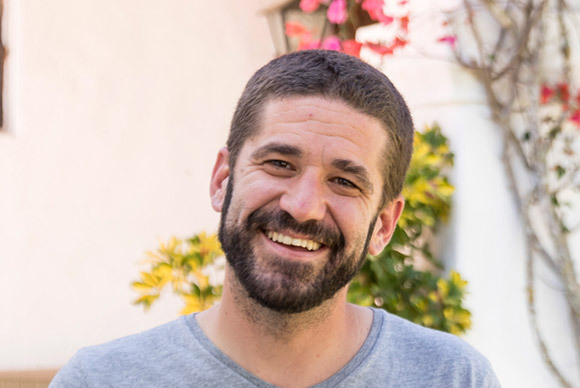 After about 5 years of professional experience in mental health and drug addiction prevention, treatment and working in public projects, Lluc moved to the Peruvian Andes to dedicate himself to the social development of local projects and his own hospitality business. Now back in Spain he is working at Ibiza Calm and also developing prevention and Health Promotion projects on the mainland. He is also continuing with his formation, studying the post grads studies in Logotherapy from ALEA. Lluc has worked at Ibiza Calm since 2016.